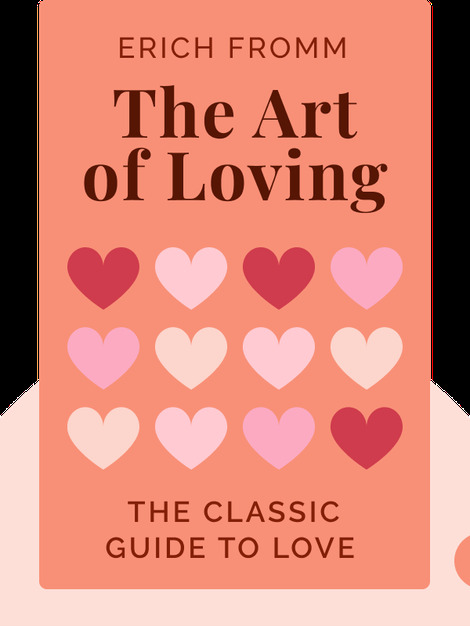 The Art of Loving (1956) argues that love, like any other creative art, is something humans must practice in order to master. 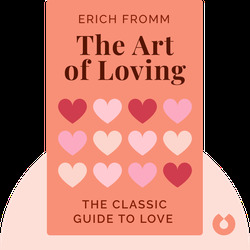 German-born psychologist and philosopher Erich Fromm describes various forms of love and highlights threats posed to them by capitalist society. Erich Fromm (1900-1980) was a world-renowned psychologist, sociologist and philosopher. Fromm represented the idea of a humanistic, democratic socialism. Born in Frankfurt am Main, Germany, he was the child of orthodox Jewish parents. In 1934, after the Nazis took over power in Germany, he moved to New York, later becoming a US citizen and professor at several universities including Columbia and Yale.